Tampa Bay business address required. Only businesses with a physical address (no p.o. 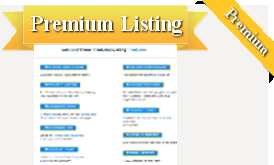 boxes) and local phone number in one of the following 8 counties – Citrus, Hernando, Hillsborough, Manatee, Pasco, Pinellas, Polk, Sarasota – qualify to be listed. All submissions will be manually reviewed before being published. 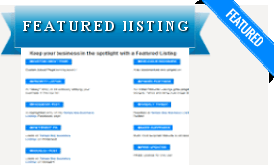 By submitting your business to Tampa Bay Business Listings you agree, without reservation, to receive communications, some of which will be marketing and sales related. Communications from Tampa Bay Business Listings may take the form of email, text (sms) or phone calls. If you do not agree, please refrain from submitting your business. If you have a video on YouTube, enter the last few characters of the url here. For example, if the url to your video is http://www.youtube.com/watch?v=fUcSAw1Bang then you would add the letters after the = sign which in this example is fUcSAw1Bang. Do NOT add anything else. Please add a comma seperated list of keywords that relate to your business. Such as: web design Tampa, Tampa web design, web designer Tampa, etc.